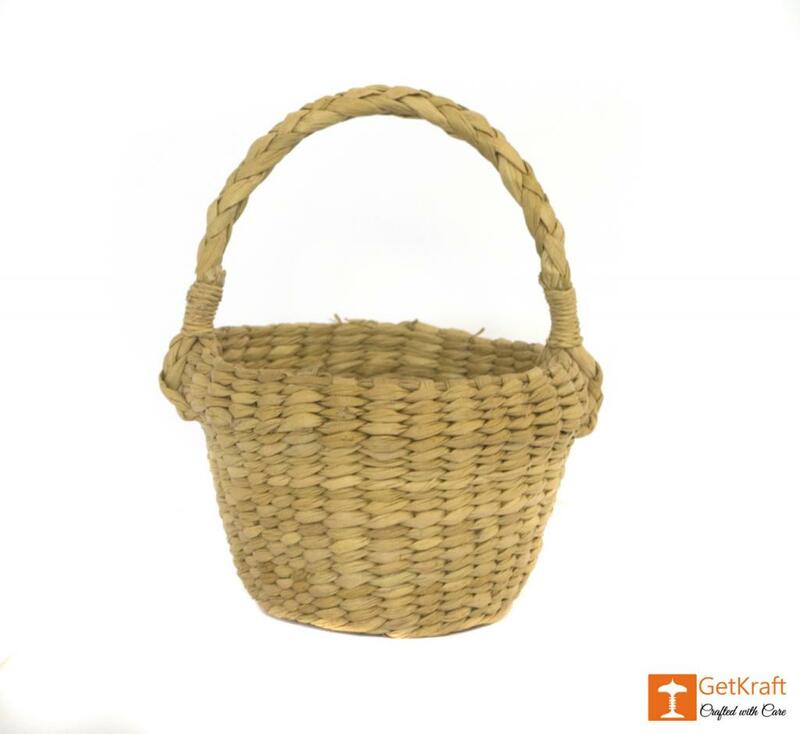 Eco-friendly Handcrafted items made from Kauna grass (water reed grass). The raw material for the craft is obtained by simple processing wherein the reed is cut near the base of the plant and dried in the sun. 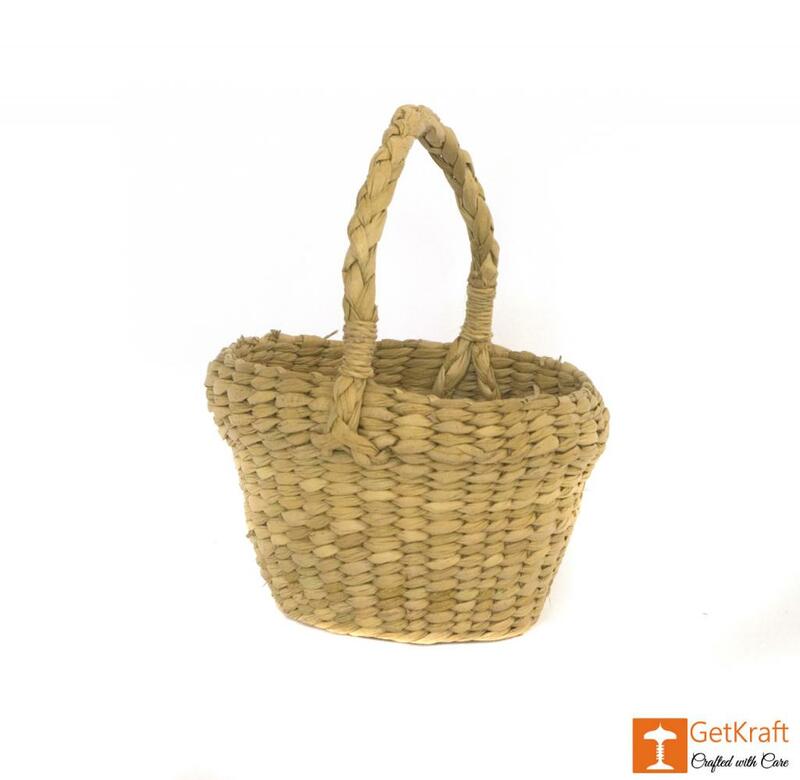 This Kauna Small Basket is a light weight, easy to carry and organic bag for using to carry or store utensils or other necessities in day to day works.